One of the objectives for commercial trucking operations is to maximize loads, and profits. One of the challenges for states and provinces is to protect the highway infrastructure and driving public from damaging weights and increased hazards of over-loaded trucks. All states and provinces have laws to control and limit the weights of vehicles, but the challenge is enforcing these laws. It is difficult to simply look at a truck and know if it is overloaded or not. Law enforcement personnel must rely on scales, either at truck weigh and inspections stations or portable scales, to enforce weight limits. The only real leverage state governments have to achieve compliance with weight restrictions are fines high enough cancel the extra profits obtained by operating over-loaded trucks. Laws, mode of enforcement, and penalties differ significantly from state to state, but one fact is consistent, even in states where fines are not as high, any fine for an overweight condition is going be substantial. Misdemeanor: Typically, a crime of low seriousness, not a felony. In the h4ed States, misdemeanors are typically crimes with a maximum punishment of 12 months of incarceration in a local jail. People convicted of misdemeanors are often punished with fines, probation, community service, and/or short jail sentences or part-time incarceration, i.e., on weekends. In most states, operating an overloaded truck is categorized as a misdemeanor. Several states, including Massachusetts and New York, do not classify violations of overweight operations as a criminal offense. They do, however, impose hefty civil fines. While not all states add as many costs as California, almost all states add some level of “court costs” and fees that are likely to at least double the cost of the fine. Many overweight situations involve two different fines. In addition to the overweight fines described above, there often is an operator fine. This is a fine levied against the driver and/or the operator (the owner or business that operates the truck). These fines may be relatively small for a first offense, running from a low of $25 to $150 for the first offense. Second offenses, in the same year (two years in some states) may be twice that of the first offense. Subsequent offenses tend to be significantly higher and can include jail time, loss of vehicle registration for several months, or suspension of the operator’s commercial license. Note that “court costs” are also added to these fines. There is no uniform structure or amount for overweight fines. Many states use a sliding scale of fines. Fines for lower overweight conditions, for example, only 1000, 2000, etc., pounds overweight increase gradually with each increase of 1,000 pounds. As the excessive weight increases, the relative amount of the fine also increases. 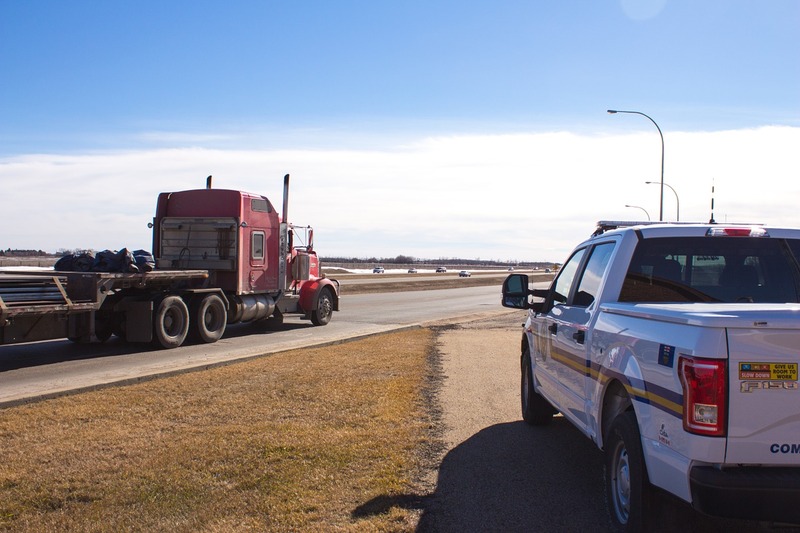 Once the load is determined to be 10,000 or more pounds over the legal gross weight, fines increase dramatically, often to several thousand dollars. Note that an overweight penalty may apply to either gross weight or an overweight condition on an axel/axel group. Fines will be levied on the greater of the two overweight conditions. These sliding scales are structured in several different ways. Every time the base excess weight increases by 500 or 1000 pounds, the fine also increases (Table 1). Table . Progressively increasing sliding scale of fines for excess weight. Other states post a fine for each weight increase, then add a few cents per pound in excess of that stated for the base weight. The greater the base weight, the more the cost per each additional pound (Table 2). Table . This state increases the penalty for greater load excesses by imposing a per-pound fine for each pound in excess of the base. number. Some states simply use a sliding scale of cost per pound for the excess weight. As the excess weight increases, the more the fine per pound increases. Note that when the per-pound rate goes up, that rate applies to the entire excess weight over the permitted gross weight, therefore, the fines become more costly (Table 3). Table . This state simply uses a price-per-pound scale. Note that the fine per pound applies to the total of the excess weight, for example, the “10¢ per pound” for 10,000 pounds of excess weight will be a fine of $1,000. Note also, that the fines for overweight loads may vary significantly from one state to another, and all states also add court costs and other fees to these fines, so any total fine is going to be more—sometimes much more—than the basic fine indicated. Oversize conditions tend to be more obvious than weights, and fines tend to be less complex to determine. For example, in Indiana, an oversize load will pay a fine of $189 (plus court costs). The greatest penalty for operators of unpermitted oversize loads, especially loads that exceed height requirements, are fines and damages from lawsuits that occur after the over-height load strikes a bridge or overpass resulting in damage and possible injuries and loss of life. Instances in Texas and more recently near Nashville, Tennessee have resulted in penalties and damages that may possibly put operators out of business. In the incident in Tennessee, a truck hauling a heavy earth mover struck an Interstate overpass, heavily damaging the structure. The driver received “several misdemeanor” citations for an over-height and over-width load as well as not having the proper endorsements on his commercial driver’s license. Repairs require that several lanes of Interstate 40 will have to be shifted around the accident site to repair the damaged overpass and the roadway. Work will take several months and “hundreds of thousands of dollars” to complete. The final cost in fines, court costs, and damages have not been released. The Tennessee DOT was quoted as saying they would pursue “every penny” of damages from the trucking company and its insurance provider.